Killer Characters: I Love My Job! I am so happy to have a chance to introduce myself to you, even though I've barely started working at the Society. I guess you'd say I'm an intern, and my salary is being paid by a generous donation from my Uncle Eddie. If you don't know much about Philadelphia society, that would be Edward Perkins, who's a real philanthropist and supports a lot of local institutions. Anyway, he thinks I'm a sweet young girl who needs help to make it in the big bad city of Philadelphia. I've given up trying to remind him that I graduated from a Seven Sisters college in three years and I've done a lot more traveling than he has. He's barely left Philadelphia! Still, his gift helps both the Society and me, I guess. I know I'm capable and qualified for a lot of jobs, but times are still hard and it's not always easy to find one. Plenty of my friends from college are still looking, and living at home with their parents—not exactly what they'd planned. Nell is a great boss. Even though she has a lot on her plate, between her job and trying to help her local museum colleagues get themselves out of messes, she's open and honest and hardworking and fair. And she really wants what's best for the Society. How rare is that? I'm hoping she'll be a good role model, and maybe even a mentor. I may be the youngest employee here, but there are a few other people around my age, like Rich Girard, who's another cataloger for a special collection, and Nicholas Naylor, who's the Society's new registrar, in charge of keeping track of collections. That's not an easy job when there are literally millions of items in the Society's collections. I hope Nicholas isn't going to be stuffy about his job, because I know I could help him if he'd let me. I can't wait to get to work! 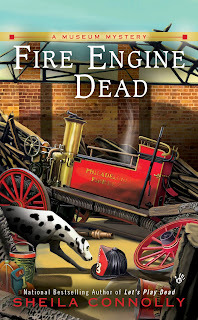 You can meet Alice when Fire Engine Dead is released on March 6th. 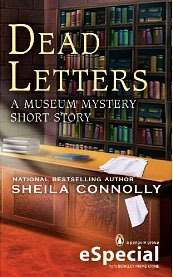 And if you can't wait that long for another peek behind the scenes at the Society, take a look at the estory Dead Letters, which includes an interview with the author. Uh-oh. Watch your back. I've heard about that museum . . . Enjoy your job and good luck with everything else that's bound to surface! I love that you like your new job. I hope you get to work with Nell. It's great that you like your job. When you don't like a job you can be unhappy which is not a good thing. 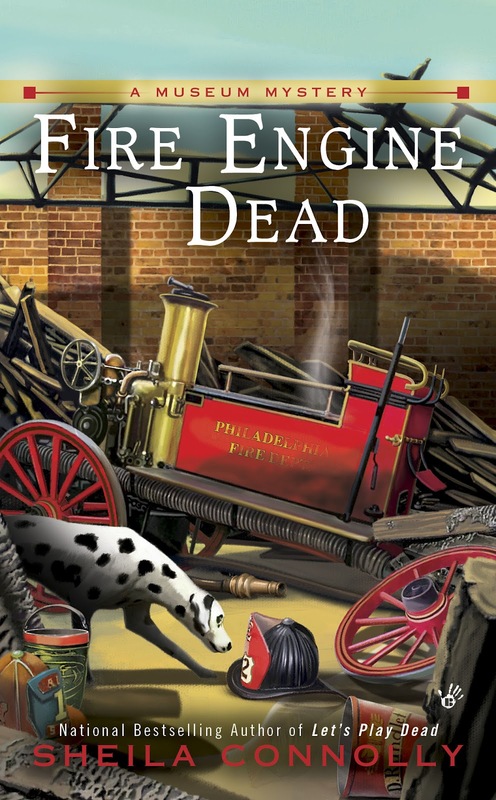 Can't wait to read this book. Sounds like a great one.